This pasta is one of my favorites, and my husband's, my friend's, my sister-in-law's, etc. It is so quick and easy that it has become a staple for when I have people coming over. It isn't overly complicated, not a lot of prep, and child friendly. When your guest come over you'll be able to visit instead of spending hours in the kitchen. It would also make a great side for grilled chicken, fish, or steak. The capers and parmesan are a perfect finish! I have a thing for pasta shapes. I'll admit it. I'm not the girl that just grabs the spaghetti or bowties and keeps walking. I may have found my favorite... or let's admit it... one of them. Meet Italian Campanelle. These vegetarian nachos are full of healthy vegetables and plenty of protein from the veggie crumbles. Great for the big game, family movie night, or just having some friends over. You can also make them with black beans or grilled chicken! I am always looking for new dessert ideas that are quick, easy, and delicious. After spending all that time cooking dinner I want something that can be put together easily but also looks like I put some time into it. Today I spent 3 hours at a car dealership, just to get an oil change (before you say "why didn't you go to the quick lube", we have the care package with free oil changes... if you go to the dealership... and wait), then had to take all three kids grocery shopping. On a normal day this wouldn't be too terribly bad, the kids on the other hand had way to much energy and were so over the day at the dealership. I was... to put it nicely... exhausted! HOWEVER, we were having dinner with friends and it was my turn for dessert. I was short on time, but didn't want to pull the "here are the brownies I grabbed at the grocery store" trick, but "thanks so much for dinner!". I'll admit... I also didn't want all of the preservatives from the pre-made desserts;) What sounded good? Sugar. Berries. Cookie. I put it all together and came up with this. Sugar cookie bottom, creamy white chocolate cream cheese, and berries to top it all off. This is so easy, I almost felt like I was cheating! :) Have extra strawberries or raspberries that you need to use? They would be great also!!! It's Sunday night... what to cook? You are tired. Kids are tired. Perfect end to a crazy week... these quesadillas are full of veggies and have a crispy corn shell. They are fast, simple, and versatile depending on what you have on hand. They are so full of flavor and the pepper jack cheese just tops it all off!! This recipe features wheat flour, wheat germ, and ground flax seed. Flax seeds are high in omega-3, lignans, and fiber. CLICK HERE to read an article about their amazing health benefits! These pancakes are so delicious and just as healthy! This tilapia recipe is unbelievably fast and simple to make. It is so full of flavor and can be paired with almost anything! While the recipe calls for tilapia, any firm-fleshed fish can by used, such as grouper (shown above) or catfish. and quinoa for protein and we ate it as a main course for lunch, however it would also make a great side for a steak or shrimp. There are many ingredients that could be added or subbed including fresh corn and/or avocado! With freshly grated parmesan cheese, these scrumptious, Italian zucchini boats are full of veggie goodness. They are absolutely delicious with the slightly crisp zucchini and fresh basil. All that gives these a little tang is the crushed red pepper flakes, but you can leave them out if you prefer. No judgment here! Take mashed potatoes to a new level with caramelized onions and garlic... you'll never look back. Trust me. This pasta is so refreshing and perfect for a summer night or afternoon lunch on the patio. The combination of creamy feta, pine nuts, and basil make this dish irresistibly delicious. These brownies are packed full of protein and taste amazing!! I made them again (updating the pics) and added some nuts... they may be even better this time! You can use any type of wholegrain rice you like, just think non-white. There are many wonderful whole grain rice varieties out there to try- brown rice, red rice, wild rice- I used black rice. I prefer the whole grain rices because they have their nutrients intact, unlike white rices, and in my opinion are more interesting to the eye than their refined counterparts. Traditional gremolata is made with garlic, lemon zest, and parsley and used to sprinkle on Italian stews. In this recipe, orange zest stands in for the lemons, and the gremolata is used to compliment the flavor of roasted asparagus. These quesadillas are amazing!!! Stuffed with mushrooms, spinach, and creamy avocado they are sure to be a hit with the family. The best part... these quesadillas feature irresistibly crispy sides. Thinly sliced chicken or steak could also be added to the inside. It’s best to drink our juices the same day they are pressed. As soon as any juice meets the air it begins to oxidize, compromising its nutritional value. However, storing our full juices in the refrigerator in a tightly sealed glass jar slows this process. The best time to drink juice is on an empty stomach or at least an hour before eating a meal. This maximizes the amount of nutrients absorbed into the body. Of course, fresh pressed juice is still loaded with health benefits even if you can’t drink it during the recommended window. There is lots of research that shows the healing properties of juicing. Not only will juicing facilitate weight loss, increased energy levels, strengthened immunity, strong bones and a glowing complexion, it may also reduce chances of heart disease, cancer and strokes, three of the leading causes of death. A growing body of research suggests that most vitamin supplements don’t help prevent chronic disease. A synthetic vitamin or mineral is a laboratory simulation of the real thing. Natural, plant-based vitamins and minerals are more easily and completely absorbed by the body. 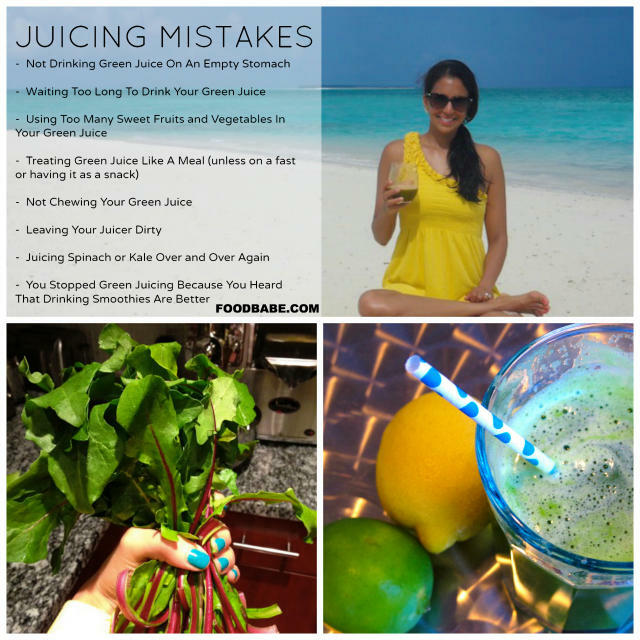 Here is a helpful article that I found from Food Babe, Common Juicing Mistakes, to get you started if you are still a newbie. I also highly recommend you watch the documentary Fat, Sick & Nearly Dead, which lays out the research, facts, and power that juicing can have on your health. 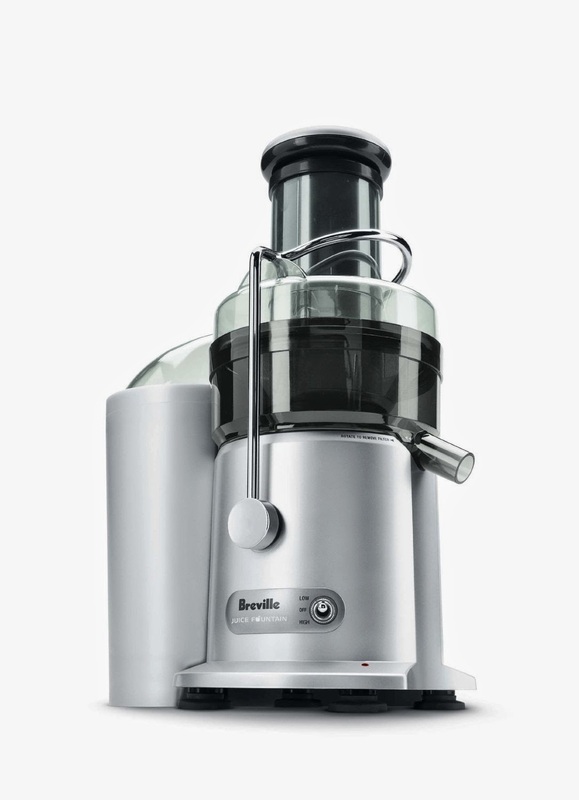 Many people have ask what juicer I have so here it is, however, there are MANY great juicers out there! are rolled up and I place the ginger in the middle of them. 3. Rinse and clean juicer immediately. Chlorophyll- Green juice is rich in chlorophyll, which gives greens their color. Chlorophyll helps your body detoxify. For example, it may inhibit absorption of environmental pollutants like dioxin and also help your body excrete them quicker, says K. Morita, lead author for a study published in "Environmental Health Perspectives." Chlorophyll also enhances oxygen transport in your body and is a top nutrient for balancing your body’s pH by helping to reduce acidity. Low-grade acidosis may contribute to fatigue as well as other health concerns, including kidney stones and lower growth hormone levels, which lead to more body fat and loss of lean muscle mass. Antioxidants- Green Juices are antioxidant-rich beverages, notes Estitta Bushkin and Gary Bushkin in the "Better Nutrition" magazine article, “Anti-Aging with Antioxidants.” Antioxidants protect your cells from damage by free radicals, which are produced when your body breaks down food and caused by exposure to environmental factors like tobacco smoke. Free radicals may have a role in diseases such as cancer and heart disease. Both versions of the juice offer the benefit of antioxidants. Calcium- You might not think it at first, but collard greens are a rich source of calcium. As the mineral found in greatest quantity throughout your body, calcium helps build strong bones and teeth. It is also needed for cellular communication and regulating your body’s hormone levels, as well as helping with blood clotting. A 2-ounce serving of fresh collard juice contains 147 milligrams of calcium per serving. This is almost 15 percent of the recommended dietary allowance for adults. Vitamin K- Vitamin K is also known as the clotting vitamin, as it is essential for your body to produce blood clots. Insufficient amounts of vitamin K can lead to abnormal bruising or bleeding and difficulty recovering from wounds. It also helps your body with calcium absorption and use, so it helps your body maintain strong bones and teeth. A 2-ounce serving of collard greens juice contains almost 277 micrograms of vitamin K. This is over 100 percent of the recommended adequate intake for men and women. Folate- Folate is a water-soluble vitamin, meaning excess amounts will be expelled by your body, so regular intake of this essential B vitamin is necessary. Folate helps with cell and tissue growth and function. It can also help prevent anemia, as well as certain birth defects. A 2-ounce serving of fresh collard juice contains 82 micrograms of folate. This is a little over 20 percent of the acceptable intake for men and women and 16.4 percent of what's acceptable for pregnant and breast-feeding women. Digestive health- Ginger gets your digestive system up and running and is known to contribute to awesome digestive health. It can help digest fatty foods and break down proteins. It also tends to reduce gas or burping as well as prevent afflictions like diarrhea. Inflammation- One of the amazing benefits of ginger is its power to reduce inflammation. Because of this, ginger can be used to treat any disease caused by inflammations such as arthritis or ulcerative colitis. Cholesterol- It reduces the level of cholesterol absorbed and may have a role in lowering LDL cholesterol. Immune booster- Ginger promotes healthy sweating which is often instrumental during the cold or flu. Along with detoxification, German scientists have found that sweat contains a powerful germ-fighting agent which fights infection. Make sure to read Common Juicing Mistakes... there is a lot of great info! !